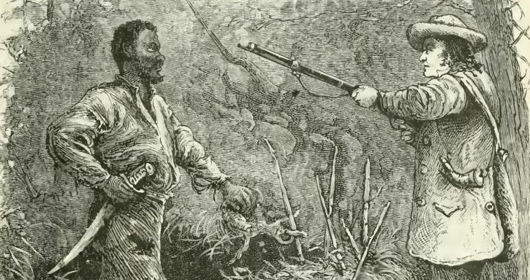 On this day in 1831, Nat Turner, leader of one of the largest slave revolts in U.S. history was captured. The rebellion began in August of that year was put down a few days after its inception, but Turner successfully eluded captors until for nearly two months. Over 50 slaves were killed in retaliation by militias and perhaps 200 more in the aftermath of the revolt. A slew of new repressive laws were passed in the slave South as a result. Photo: Encyclopedia of Virginia, courtesy of Wikipedia.